Welcome to the RT1206 Website. 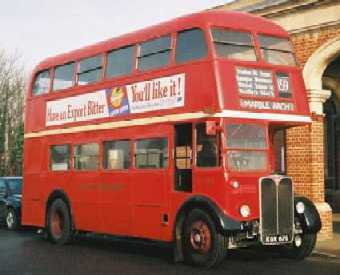 This website describes our bus, an ex-London Transport AEC Regent III (RT Class) double-decker, our group and our activities which aim to preserve the bus as an important piece of vintage transport history. Please click the links on the left side of the page to navigate to the relevant sections.